Contact Donna at Crisis Animal Rescue & Education to express your interest. Another successful adoption - amazing work Crisis Animal Rescue & Education! More successful adoptions - amazing work Crisis Animal Rescue & Education! Hello, my name is Gerty, see my glasses... 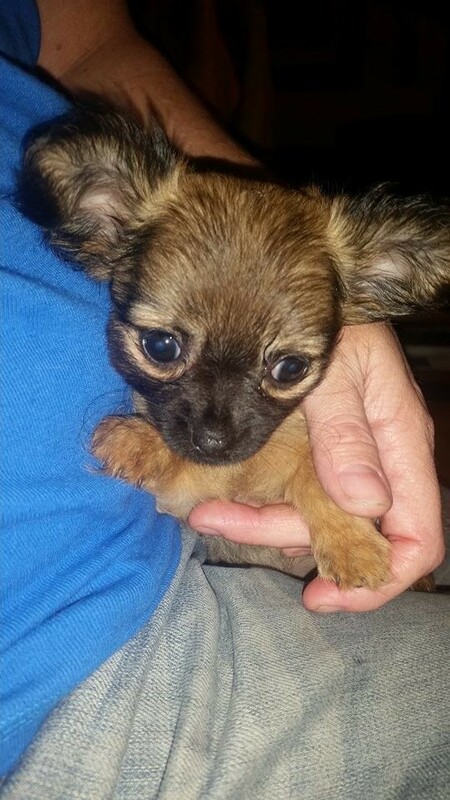 I am a tiny pedigree girl now 8 weeks old, so now I'm old enough to meet you and come to live at your home. Gerty is a beautiful wee pure bred Chihuahua with a load of personality. She will be a great addition to a loving forever home, either as a sole companion or a glorious pet to an older family. 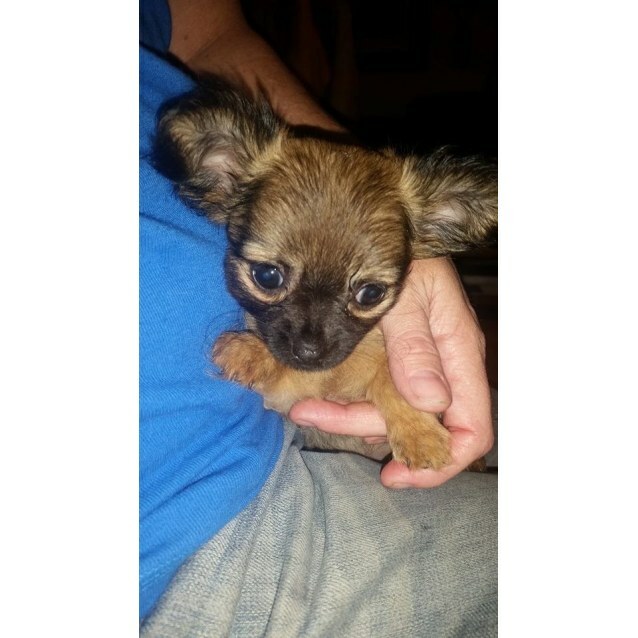 Gerty only weighs 640grams and will be a vey small pooch when she is fully grown. 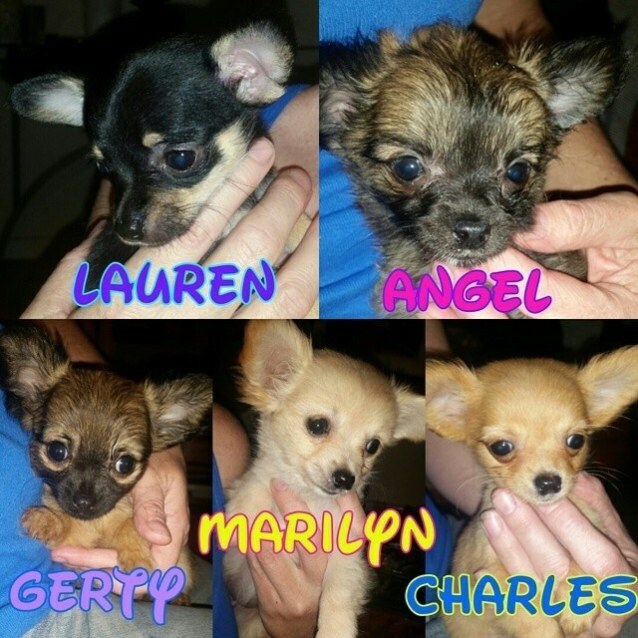 We do not rehome such small pups to anyone with young children. As much as they may not mean to, little children can hurt these tiny Furbabies very easily. She has been trained to puppy pads and has gotten used to wearing her collar very quickly. She loves playing & already has favourite toys she likes to toss in the air & then chase to retrieve them. Gerty also loves lots of cuddles & sitting on your lap, where she will drift off for a snooze. She is great with cats & other dogs, although because of her size, bigger dogs are usually scared of her. 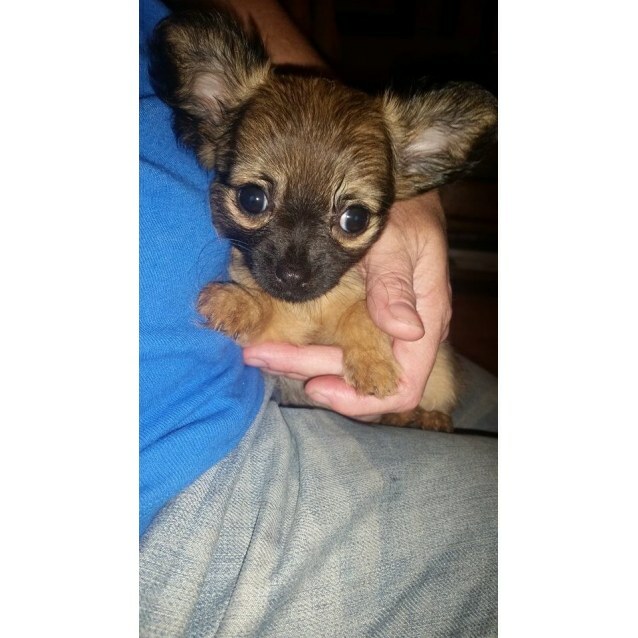 Gerty's Vetcheck has proved this pup to be in excellent health and fine condition. Gerty will be micro chipped directly to the new owner on pick up. Apply for adoption application via email majorma@live.com or phone 07 33885050 for more information. Home checks are required for all applicants. Non refundable holding deposits apply to all applicants. We are a No Pressure rescue and will work with you to find you the perfect pet to suit you and your family.